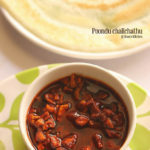 Instant spicy garlic chutney | fried garlic chutney recipe | Poondu chutney with step by step photos and video recipe. 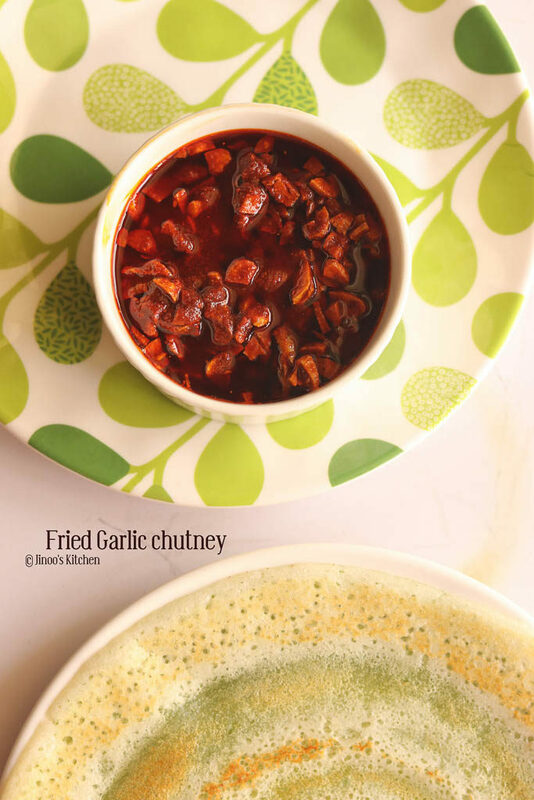 simple, quick and easy fried garlic chutney that will go with idli and dosa. One of the quickest fix if you have the garlic peeled ready. I always clean up a stock of garlic, shallots, ginger for the week and refrigerate. 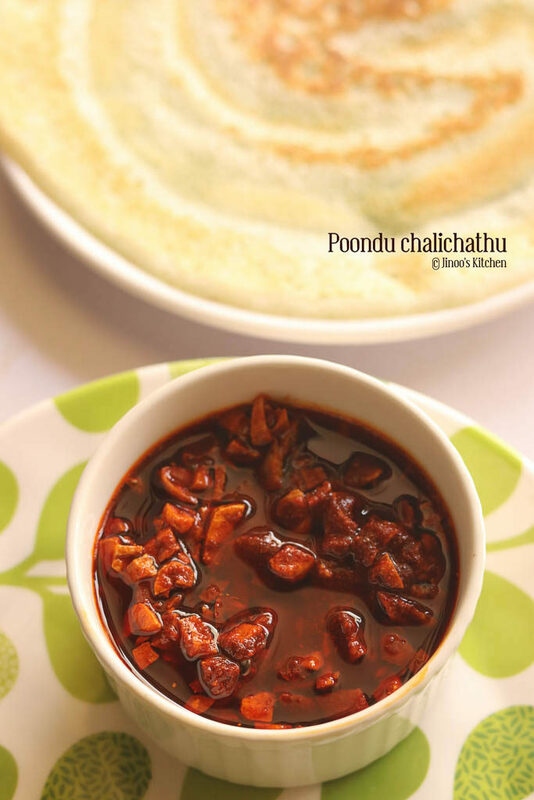 So when needed this chutney is so simple and most preferred at my home. One of the main advantages of this dish is you can use it for 3-4 days simply leaving it over the counter. I even extend it to more than a week and it never spoils. 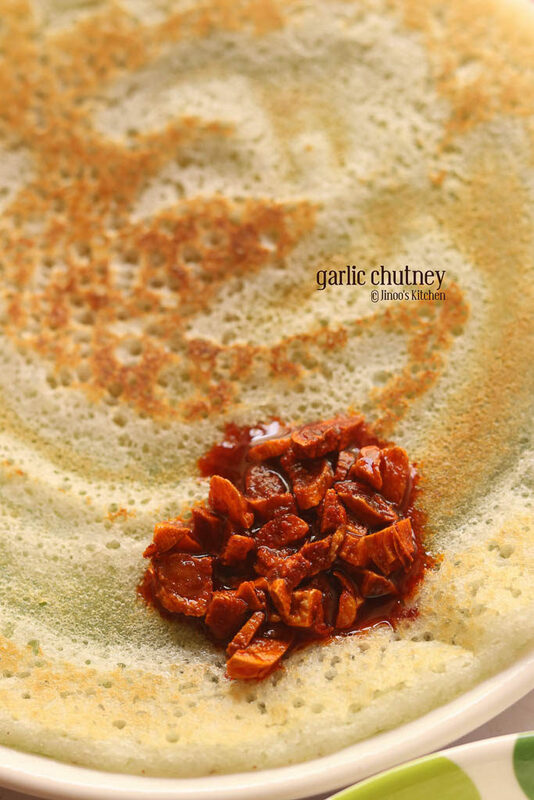 A little bit of this chutney sprinkled over dosa or uthappam is also awesome. Firstly, Mix red chilli powder and salt in a bowl and keep it ready. The second step is to fry the garlic. For that, heat coconut oil in a kadai and deep fry the chopped garlic in medium heat until it turns reddish brown and crisp. Turn off and pour the hot oil+fried garlic onto the mix of chilli powder and salt. Mix well and serve/stock up. 1.Firstly, Mix together red chilli powder and salt in a mixing bowl. 2. In a kadai, heat coconut oil and deep fry chopped garlic until in medium heat. Oil should be little extra since we will be pouring it on the red chilli powder mix. 3. Fry until it turns crispy brown in color. 4. Add the fried garlic along with the oil to the mixing bowl. Mix and serve.